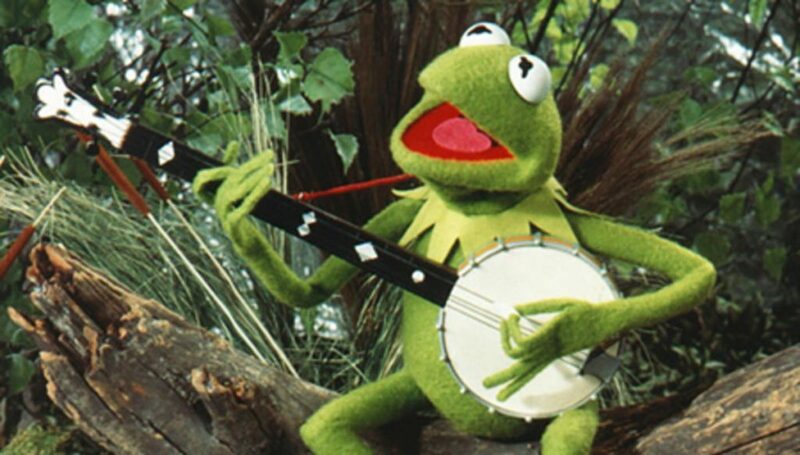 It's Easy Being Green | Melotte, Morse, Leonatti, Parker, LTD.
As an aging baby-boomer, one of my early memories is Kermit the Frog singing "It's Not Easy Being Green". And with the amount of advertising and number of claims of what the true "Green Way" is, that title seems to fit. In construction (I am an architect), there is a veritable blizzard of products all claiming to be the next savior to "green" the planet. Ultimately though, being green for most of us may not be so much about which product you use or how many green tricks you use in your new construction or renovation project, but about a little common sense and sensible consideration of what you have at hand. Most people are hearing about energy efficient new construction projects and replacement windows and high-efficiency furnaces and they get the impression the only path to being green is to replace buildings and systems, to change out all their lights to fluorescent or LED, to tear out their water-guzzling toilets and showerheads and put in new low-flow ones. But being truly green means looking at the big picture and it has as much to do with use of the building and looking at the energy cost of discarding what you already have as it does with buying new things. The important questions for me are the ones asked before project is decided: "Is replacing a building or system the green choice"? "Is the project I am considering the right scope?" Or even more basic: "Is this project necessary?" For example, is it a green choice to replace a perfectly functional 80% efficient furnace with years of service life left for a new 96% efficient furnace? Clearly it will use less fossil fuel to operate, but there is a great deal of energy required to manufacture the new equipment, bring it to your building, and cart off the old one to a recycler and this energy (known as embodied energy) is rarely accounted for when calculating pay-back periods. Of course, if the furnace is deteriorated or non-functional, the choice is different and selecting the most efficient replacement you can afford becomes the green choice. A similar situation exists for windows, lights, etc. Even with light bulbs, I suggest it is greener to use your old incandescent bulbs until they burn out and then replace them with energy efficient ones rather than throwing out perfectly good material. In the same vein, many times the greenest building is the one already built. “The total energy that has already been used in the construction of a typical Victorian terrace is equivalent to the amount of energy (in fuel terms) that could drive a car five times round the earth, or half the distance from the earth to the moon. Retaining and reusing the existing building stock prevents that energy from being wasted and increases resource productivity. (English Heritage, 2003, p.8)” According to a bulletin produced by the Association for Preservation Technology (APT Bulletin, Vol. 36, No 4 (2005)), 3 options for replacing an office building were reviewed. When the embodied energy of the existing and new buildings were included, the quickest pay-back period is 34 years, which includes a new building energy use of about 40% of the previous building. In other words, it takes that long to have a net energy savings from reduced energy consumption of the new building balanced against the embodied energy required to construct it. Using the same baseline numbers, renovating the existing building to save about 30% of its annual energy consumption has a "real" payback of 20 years. 108 years just to get back to even on the energy expended. Even if the embodied energy is not counted, it's over 54 years before energy is actually saved. And that does not include maintenance costs. So, what does all this mean for the average building owner? Simple. Replace energy consuming appliances and equipment when they need replacing because of wear, not just to be green. If your windows and doors are in good condition, invest in weatherstripping and sealant before replacing them. Add insulation to your existing attic and walls; it is more energy conservative than building a new highly insulated building. And do the investments that require little in the way of materials for the energy savings generated. Investments such as install (and use) set-back thermostats, install lighting timers or automatic controls, have your mechanical system cleaned and balanced and when things need to be replaced, invest in the higher efficiency replacements.